This very interesting fern is not a true treefern at all, but it is related to Dicksonia and can develop small trunks to 8' high. It grows over a very large area in the wild, all the way from Mexico and the West Indes to the Patagonia, spreading vigorously by clumping and forming adventitious shoots. 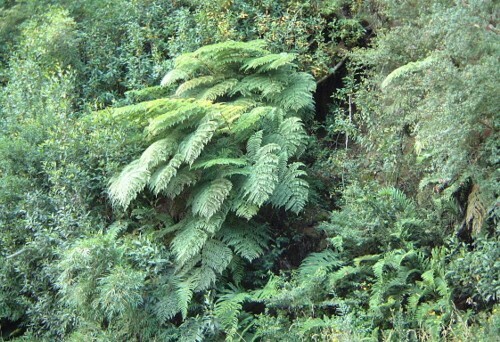 It has very large fronds and multiple trunks sometimes forming more as mounds. Its presence so far south in South America makes me optomistic that there may be hardy Dicksonias or other treeferns yet to be introduced from that part of the world. As far as I know, this species has yet to be employed in landscapes, but it certainly would be an interesting one to grow. It is known to be very easily grown and adaptable in cultivation. Its strange, clustering, mounding form could make it a one-of-a-kind accent plant. 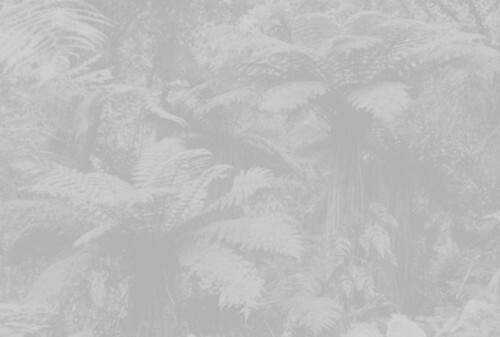 Plants from Chile and Argentina should yield very cold-hardy offspring. 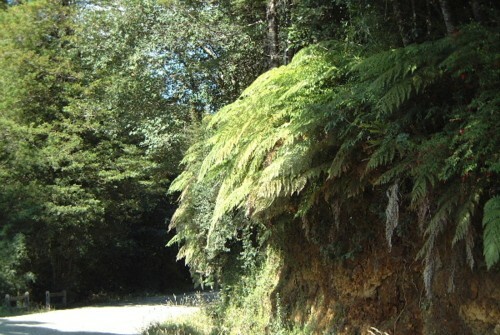 Lophosoria quadripinnata growing by a roadside near Puerto Montt in southern Chile. Photo courtesy of Mark Morgan. A very impressive Lophosoria quadripinnata growing with Chusquea in habitat in Chile. Photo courtesy of Mark Morgan.